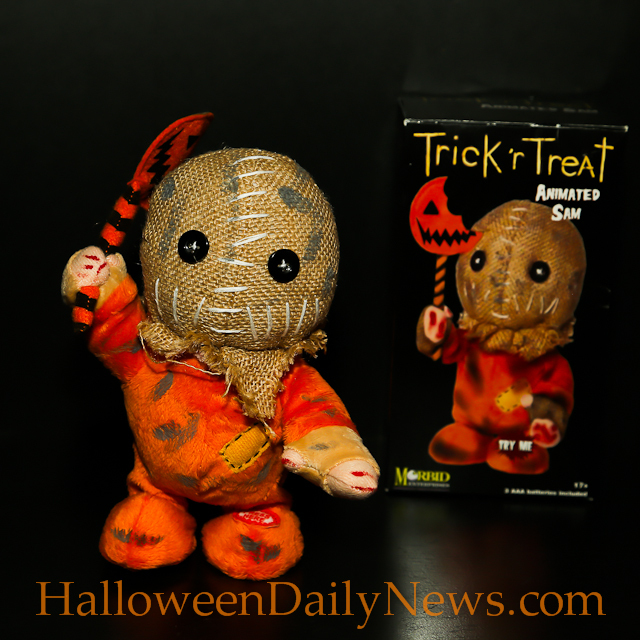 While at the recent Flashback Weekend Chicago Horror Convention, we scored a killer new addition to our collection of Halloween toys in a plush animated Sam figure from Trick ‘r Treat, by Morbid Enterprises. 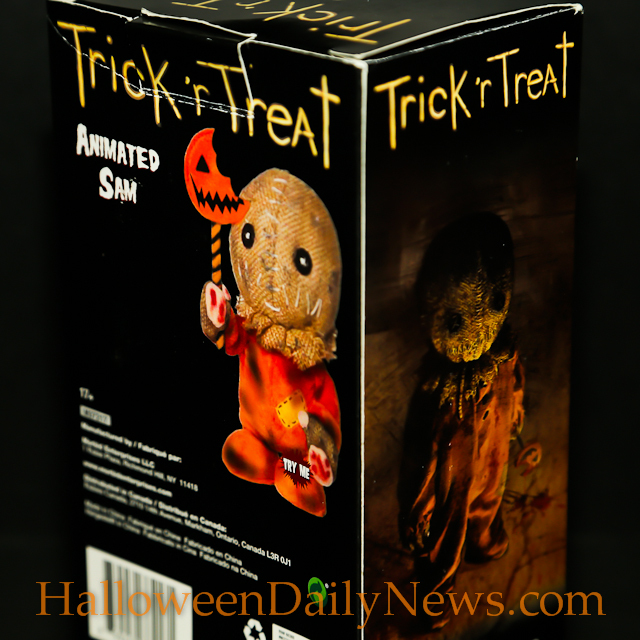 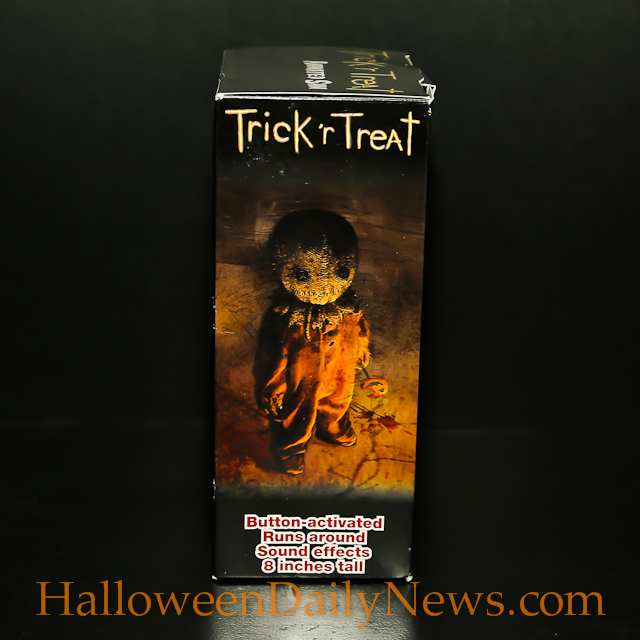 The figure itself is a great likeness of the spirit of Halloween in the classic film Trick ‘r Treat, and when you press the button on its foot, it runs around as a bit of the movie’s soundtrack plays. 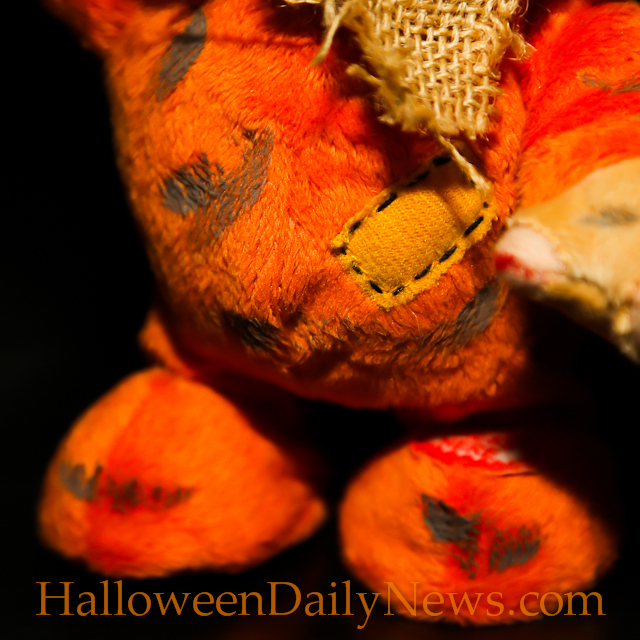 Check this guy out in action in our video below, and then scroll down to view our photo gallery! 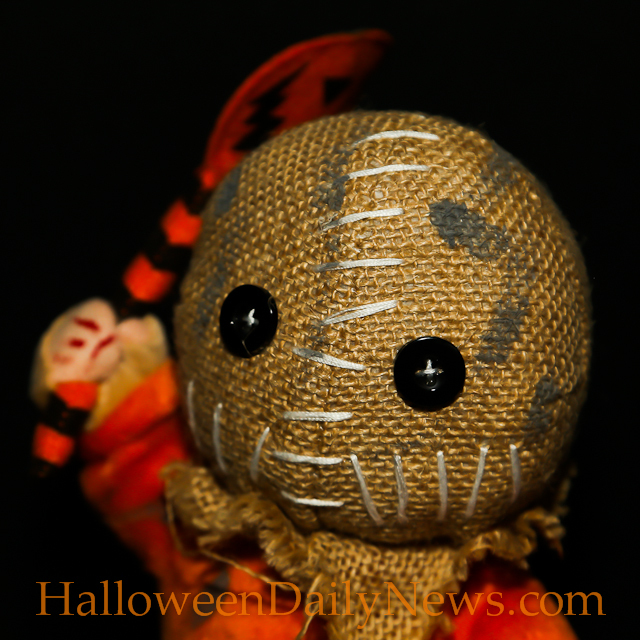 If you like what you see, you can order one of your own here. 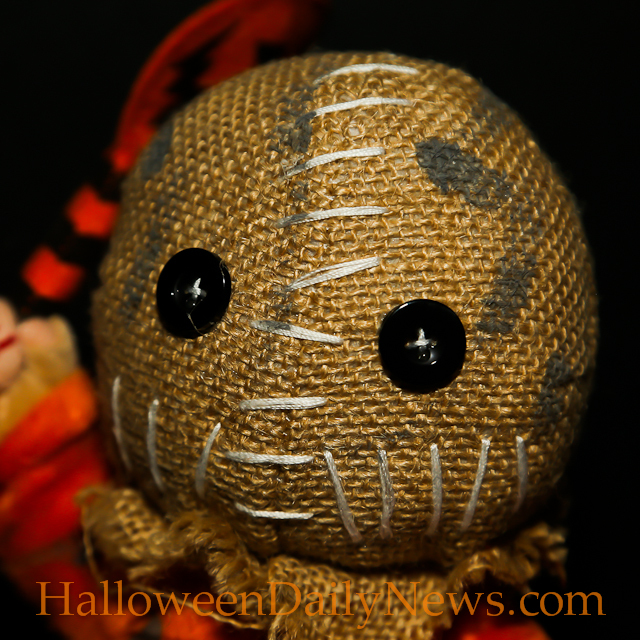 Click HERE to see MORE HALLOWEEN TOYS! 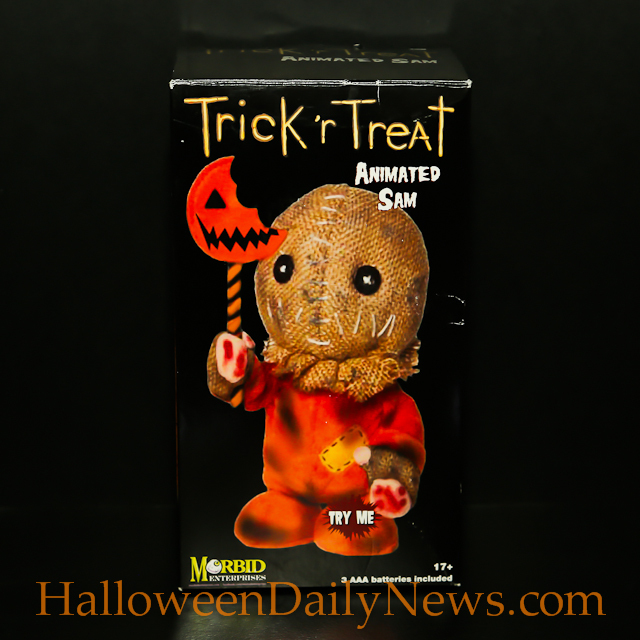 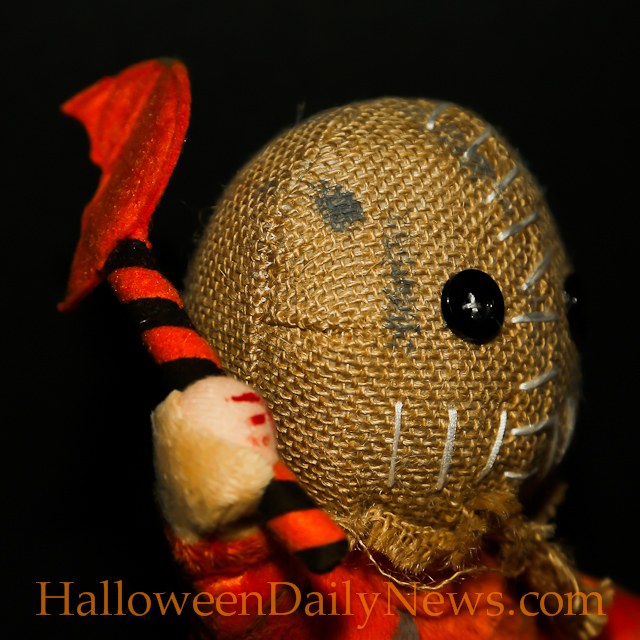 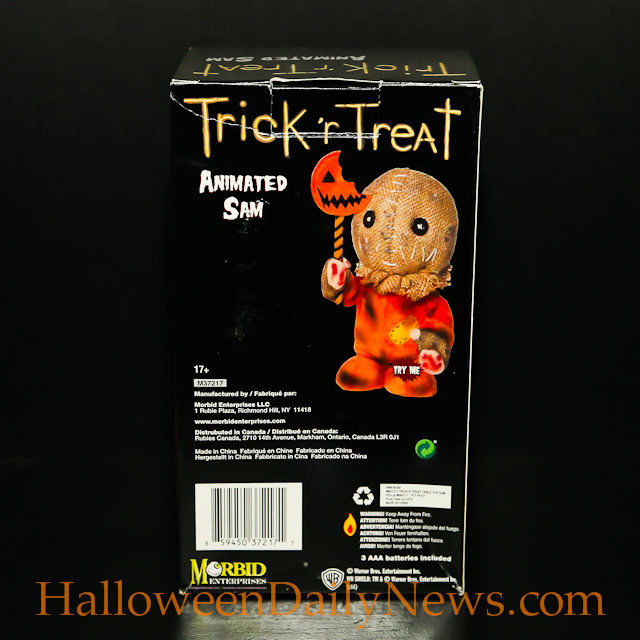 Celebrate Christmas with ‘Trick ‘r Treat’ Icon Sam!